There are times when I'm blogging that I think I am the only person in the world who reads what I write - I know that's not true because of the lovely comments I receive, but blogging does seem a little solitary at times. 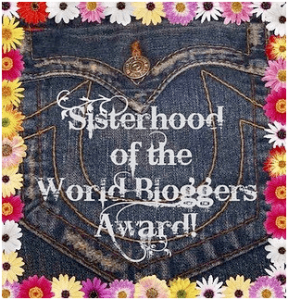 So, it was so nice to receive a nomination for the Sisterhood of the World bloggers award from Debbie who blogs at Debbie in Shape. She is a shining example of someone making an effort to encourage other bloggers by promoting health and fitness as well as helpful blogging tips and hints. No - I am a lover of my warm comfy bed and it is very difficult to part company in the mornings. 2. Which do you prefer: the mountains or the sea? I think the sea - there's no uphill bits - but I hate sand in my bathers so swimming is for pools only. 3. What is your most read blog post? My midlife madness moment when I quit my job (no regrets yet!!) Here's the link. 4. Who is your blogger role-model? One that you aspire to be like? I'm not sure I have one - I'm just loving all the ladies I'm meeting and reading - it's a fabulous group! 5. Which city or country would you like to visit? I've ticked off a few already but I haven't been to Greece or Italy - Venice would be very interesting. 6. What is your favorite motivational quote? "Not my circus. Not my monkeys." I have it on a bangle to remind myself that not everything is my problem. Reading, walking, riding my bike, talking to my husband, coffeeing with friends, thinking about getting another job. 8. What is your favorite social media platform? I don't even know what a social media platform is......I love blogging, I love Facebook and I love Pinterest - but none of them really connect to each other because I use them differently. I'm not a big fan of Apple - so I am an Android and Windows PC person. 10. What is the most important tip about blogging you have learned? Be yourself and have fun. Nobody mentioned the added bonus of meeting lots of lovely people! Answer the 10 questions sent to you. Nominate 8 other bloggers for the Sisterhood of the world bloggers award – link them in your post and notify them of their nomination. In this case, rather than nominating 8 individual bloggers I would like to nominate all the contributors to the #1word Blog Challenge because I'd love to see what you each have to say to the questions - go for it if you'd like to join in everyone! this week's word was "together"
Congratulations! I find it amusing that "cresting the hill" chose the sea! Lol I wish you much success in the future. I love your blog! Hi Elena - the hill comment made me laugh - I guess I'm cresting and not climbing and that's what counts! Really enjoyed your admission about social media platforms - me too! And hooray for Android! These are so much fun - great way to get to know fellow bloggers. Congratulations on the award! We have a lot in common! I love the "Not my circus, not my monkeys" quote! It's terrific to learn more about you! Thanks Rena! I'm always a work in progress - and minding my own business is high on my list! These question lists are always fun! Congrats on your nomination and thanks for passing it along! I was nominated by Debbie as well so congratulations Leanne! Debbie is so thoughtful and helpful and I have met many lovely bloggers since starting in February. Keep up the great work I love your posts. 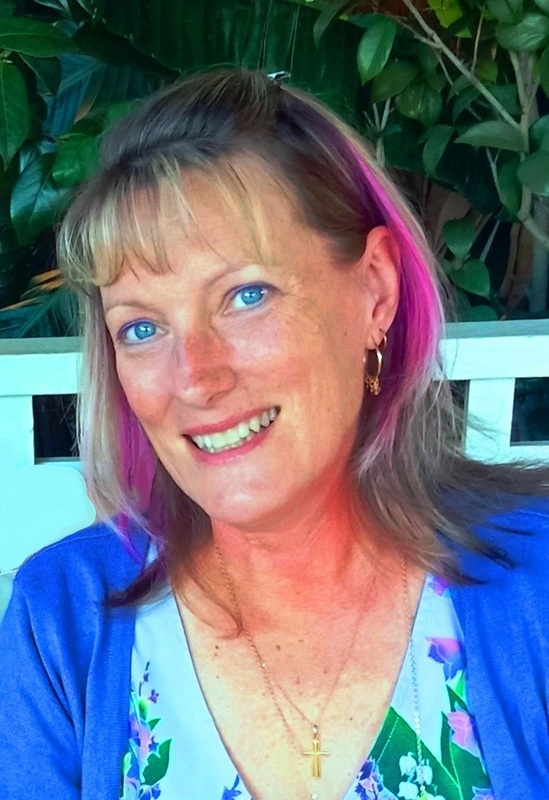 Hi Leanne, I LOVE your blog and so happy to make this connection with you. I'm going to keep this open in my browser to look through it all a bit more later this afternoon, because I'm so intrigued. Love the vintage bike by the way:) Although my own blog is brand new (it's part of my own midlife madness--congrats on your new-found freedom by the way! ), I would love to take part in answering the questions you included. I'll have to really give some thought to which bloggers I'd nominate. I'm so new to the blogging world, though, that I'll have to really give some thought to which bloggers I'd nominate. I've come across so many amazing writers in this short time. I didn't realize what I'd been missing out on! Great way to get to know each other. I would like to do this, but it's going to take a while. Enjoyed linking up with you today.